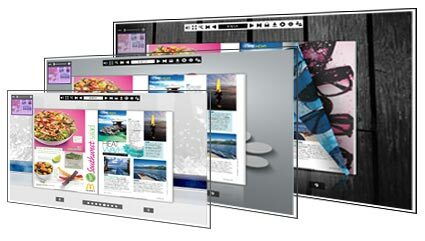 Active template is easy-to-use template which helps you to create lively and wonderful page flipping ebooks. It is totally free for you to use in any FlipBuilder program. 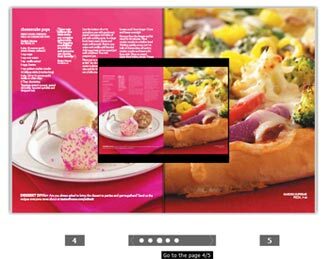 If designed your book with Active template, people can use various tools while reading book, no matter share via Email/Facebook/Twitter, search needed info, zoom in/out page, enable fullscreen or not, auto flipping the book etc. Enable shown Thumbnail button while designing book with Active template, then people can preview pages and go to any interested pages in Thumbnail Bar. 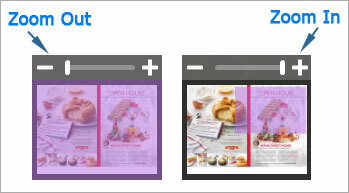 Make your page flipping ebook more amazing and different with the help of animated Thumbnail Bar. Imagine if you want to convert the file which has a lot of words into flipbook, people will difficult to read all info clearly. So, Active template offers the zoom feature for people easy to zoom in/out page in visual zoom bar, learn product info more clearly. Besides, if you zoom in page more, you can also read other part text through changing the zoom position in visual zoom bar. 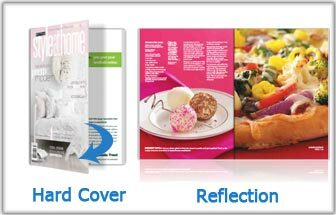 Active template not only provides various tools for you to show on the top of flipbook, but also helps you to make classical or fashion book as ease. Apply "Hard Cover" while designing, you can easy to make a classical page flipping ebooks. Or make your fashion book for sharing online if applying "Reflection".